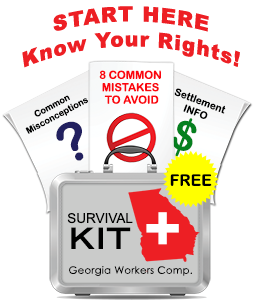 What is the biggest trap that you can face in your Georgia workers’ compensation case? Without question, issues relating to your return to work after being injured must be handled very carefully. Let me give you an example. Earlier this month, I received a call from a potential client. This young man – I’ll call him "Tom" – had been working with earth moving equipment for a large construction company that was building a dam on a river in north Georgia. Tom and a co-worker were working late – all of the supervisors and most of the co-workers were gone. The co-worker pushed a large boulder towards Tom and when Tom tried to control the boulder, it rolled onto his hand, crushing a finger and badly injuring his hand. Tom’s co-workers took him to the emergency room at a local hospital where his condition was stabalized and a hand surgeon was brought in. Tom underwent surgery that very night to repair his hand. Tom was released to go home late that night with a prescription for strong pain medicine and instructions not to use his hand until further notice. The next morning, a supervisor from Tom’s employer called. Although the accident had literally happened the night before, the supervisor began pressuring Tom to return to work. During that first day after the accident, various supervisors from the employer called and emailed Tom repeatedly to demand that he return to work. Within a few days, Tom received a letter from the employer’s workers’ compensation insurer stating that his claim would be accepted and that his TTD (temporary total disability benefits) would be forthcoming. At the same time, during this first week, Tom continued to receive calls from his employer requesting that he report back to work. Tom does not know much about workers’ compensation law, but he sensed that the employer’s actions were not in his best interest. He found Ginsberg Law Offices on the Internet and he called our office. When I first spoke with Tom, he advised me that his employer had never posted a panel of physicians, they had not offered him a prescription drug card, nor had anyone from the employer ever explained to him anything at all about how to file a workers’ compensation claim or about any of his rights thereunder. Where is the "return to work trap?" The trap arises when an employee returns to work. Under the Georgia workers’ compensation law, if an injured worker who is receiving his weekly TTD benefits returns to work without a form WC-240, and he cannot perform the assigned job, the TTD benefits stop. If the employer does not volutarily restart them the employee will have to request a hearing (and wait the two to three months for a hearing date) to try and get them restarted. However, if that same employee returns to work with a WC-240, and cannot perform the assigned job, his TTD benefits will start again immediately. What is this special form, the WC-240? A WC-240 is a State Board from that sets out a specific light duty job description. The WC-240 includes the start date for the light duty return to work, specific activity limitations as described by an authorized treating physician, the name and contact information for a supervisor and the light duty rate of pay. If you return to work with a WC-240 and cannot perform the job duties, you notify the contact supervisor, then you return home knowing that your TTD benefits will start again automatically. In Tom’s case, had he returned to the dam building site without a WC-240 and been unable to resume work in his heavy construction job, there is a good chance that the employer would have cut him off. At that point, Tom would have no job, no income and no workers’ compensation benefits. As you can imagine, Tom’s settlement leverage would be very minimal. I think it is fairly obvious that Tom’s employer has taken an aggressive, "in-your-face" approach to Tom’s case. Even the insurance company adjustor confided to me that the employer was not acting properly in what amounts to harassment of Tom. Sometimes employers understand Georgia law fully and they use this "return to work trap" to squeeze injured employees. They know that an injured employee who has no money will be more likely to settle for a miminal lump sum out of desparation. Other employers are not based in Georgia and they don’t know anything about a WC-240, but will take adavantage of the leverage associated with an undocumented return to work. 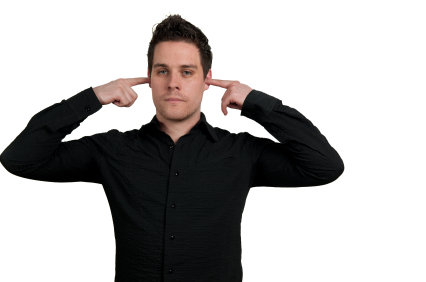 I think that Tim’s case also illustrates why an injured employee needs legal representation. Finally, you should be aware that the WC-240 was appropriate in this case because Tom had already been receiving TTD benefits. If your employer has controverted the claim and no TTD benefits have commenced, a different strategy might be necessary. Many of the calls I get from injured workers are triggered by questions about returning to work. If your doctor has suggested that you are ready to return to work – full duty or light duty, or if your employer is pressuring you to return to work, please do not make any decisions without talking to me or to competent legal counsel.